A circular granite stone is located in the ground, withinin the circular drum entrance porch to the Burns Mall from Kilmarnock Cross. The stone was originally located in the open. His headstone can be seen in the Laigh Kirkyard. 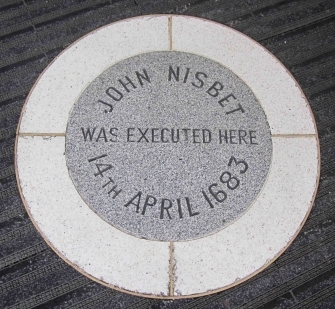 He is also commemorated on the Loudoun Martyrs' Monument in Newmilns.